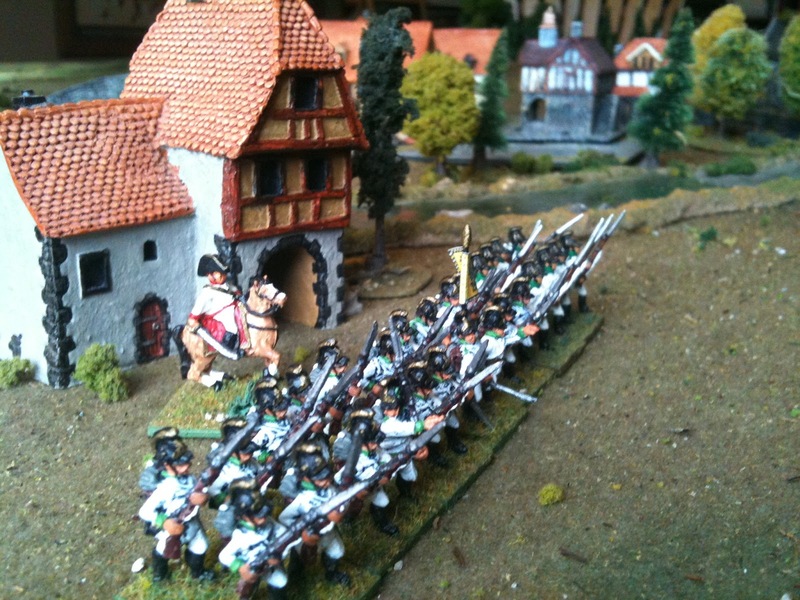 own home brewed "DBA" style horse and musket game. 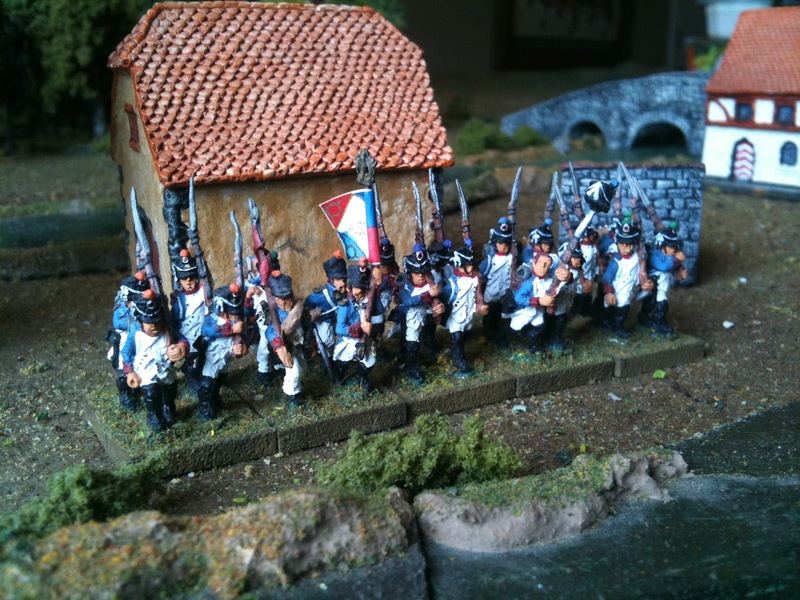 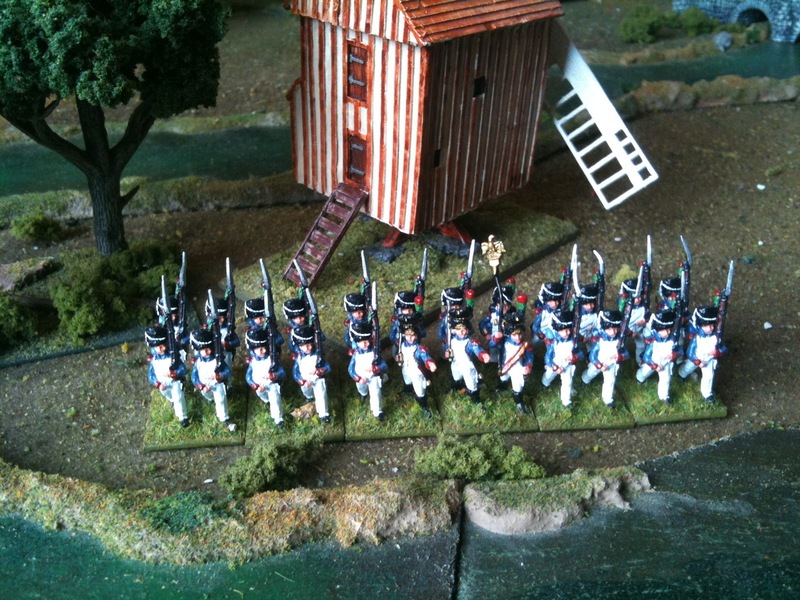 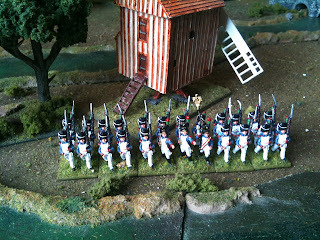 A unit of French line infantry. 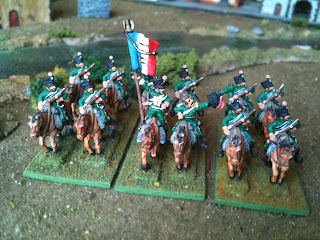 Old Glory figures. 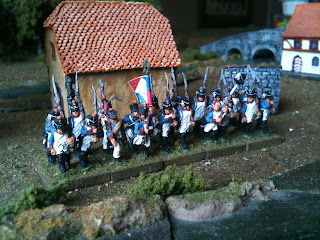 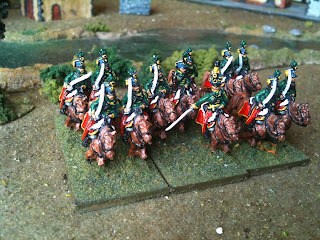 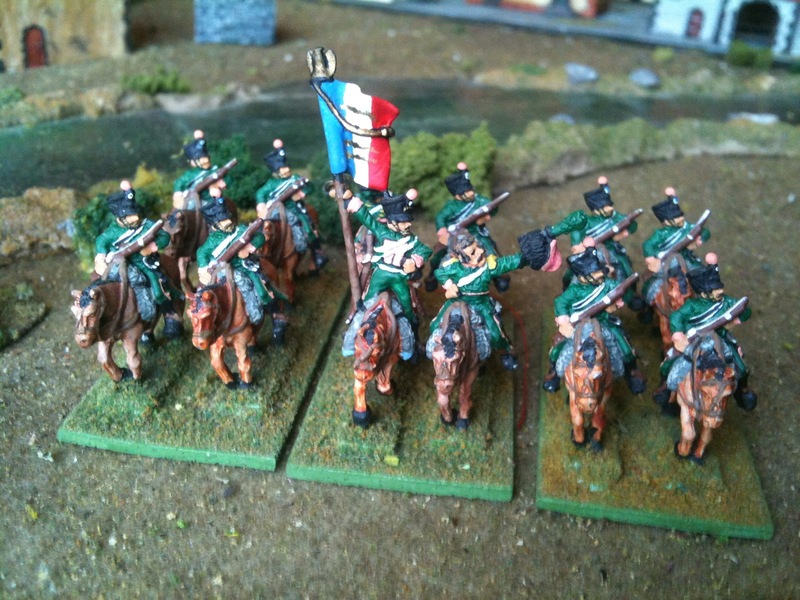 One of my favorite French cavalry units. 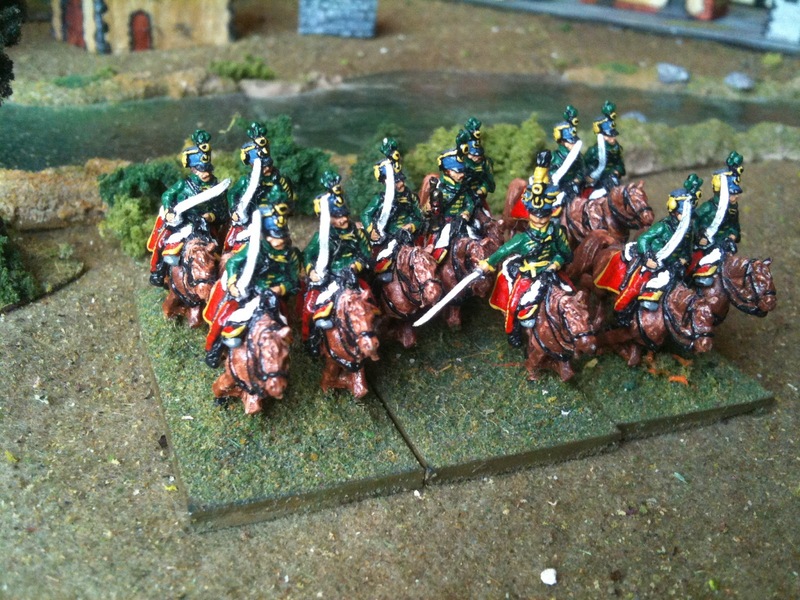 These are old Naismith figures. 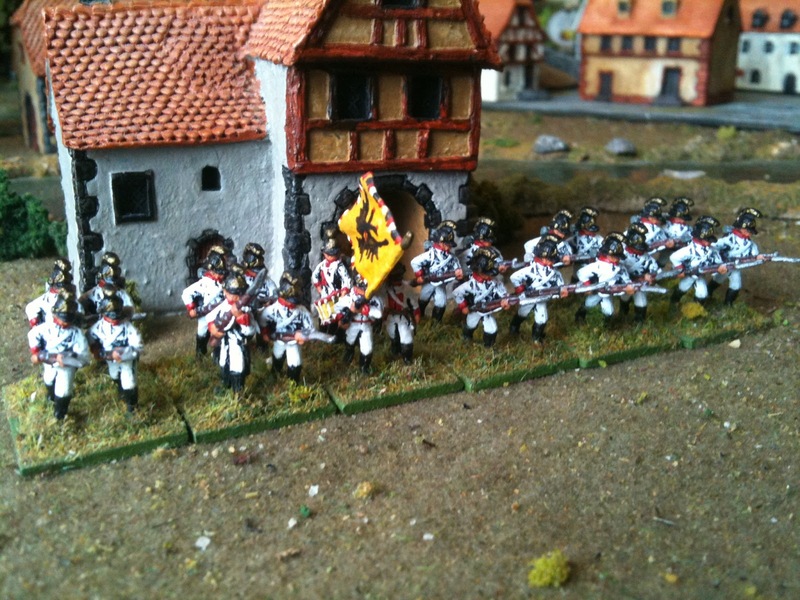 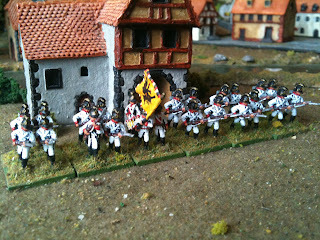 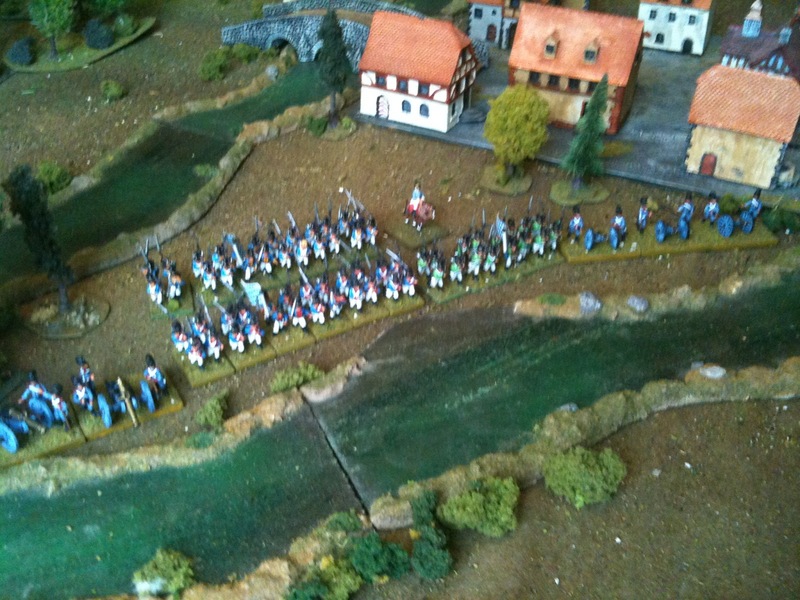 Battle Honour 15mm Austrian line infantry advance! 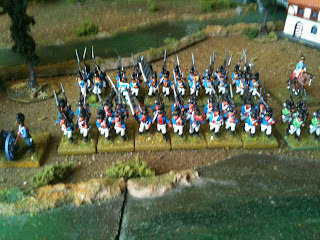 Bavarians...the infantry is from OG and the artilley is BA. 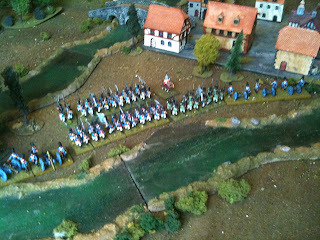 An overview of the Bavarian deployment, showing some of the game we are setting up!